Commercial leases are not calculated like residential leases. Residential leases may include the total square footage of a home, but rent is not based on square feet. Monthly rents for residential properties are largely determined by looking at comparable rentals in the area. In commercial real estate, monthly rent is calculated in a variety of complex ways using several types of square-foot measurements. 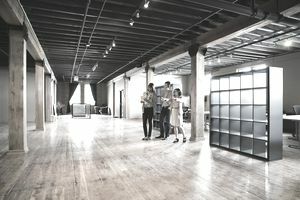 The measurements used in determining commercial space rents are based on guidelines set by the Building Owners and Managers Association (BOMA) International and are considered industry standard throughout the United States. Many commercial leases use BOMA Standards and charge monthly rent based on “​rentable square feet,” and not on "usable square feet." This is important to understand because if you are quoted a price of $1.25 per usable square foot, that may be what you end up actually paying for each month. Usable square feet is the number of square feet that a tenant occupies. But there are other parts of the building that all tenants use or benefit from. These parts are known as common areas and include hallways, stairwells, elevators, and lobbies. The amount of square feet for common area spaces is divided among all tenants on a prorated basis. Each tenant pays a portion of the landlord's expenses for these common areas. When these fees are added to the usable square feet, the result is called "rentable square feet." To make things even more confusing, this practice of adding common area expenses to usable square feet is called the "​load factor." Load factor expenses usually increase each year at a rate separate from rent increases for usable square feet. It means you may need to negotiate two rent increases each year: one for load factor, and one for usable square foot rent. Let’s say the office space you are renting is physically 500 square feet (the usable square feet) is priced at $1.25 per square foot. Your usable square foot rent would be $625 per month (500 SF x $1.25). However, your portion of the common area adds another 100 square feet. Your rent will be calculated based on 600 square feet, not the 500 you will occupy. Some landlords lump the rate for both usable square feet and your portion of the common area into one number (this is usually unfair to the tenant), but most charge a different rate per square foot for usable square feet and for common area rent contributions. Before you even see a space, be sure to ask over the phone what rate is being charged for usable square feet and for rentable square feet because this makes a big difference in your total monthly rent. And, remember, if someone tells you a space is "1,500 rentable square feet" the actual (usable) size of the space will be smaller. To get you in to see a property, some landlords will simply tell you the usable square foot price but quote the rentable square footage. This deceptive practice makes a space appear larger and cheaper than it is. Then, when you show up, you find the space that sounded great on the phone is actually out of your price range and smaller than you thought. While most realtors are honest about disclosing true total rent costs over the phone, they still tend to state the size of the space as rentable feet—not as usable feet. But now you are smart enough to know exactly what to ask the realtor. The following table compares the three types of square feet calculations used in commercial leases. Some leases simply charge by usable square foot, while others add a percentage of the common area to the usable square footage to charge what is called rentable square feet. Usable Square Feet SF of space actually occupied by the tenant. Rentable Square Feet Usable SF + a % of SF of the Common Areas. Gross Square Feet Total SF of the entire building. Usable square feet is the actual size of the space you will occupy. Rentable square feet is always larger because it includes usable square feet plus an additional number of square feet of the common area shares that you will not physically occupy. Rentable space with the load factor is the price you want to know because that is what you will be paying for. The per-square-foot price for usable square feet is only a portion of what you will pay each month.